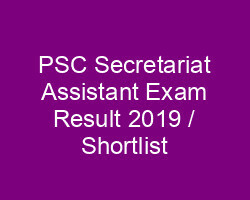 PSC Secretariat Assistant Exam Result 2019 / Shortlist, PSC Assistant / Auditor exam result, PSC Secretariat Assistant shortlist 2019/ probability list, Secretariat Assistant Exam ranklist (545/2017, 546/2017), PSC Secretariat Assistant Exam list 2019-2020. Kerala PSC Secretariat Assistant Exam result 2019 will be published soon at PSC website. 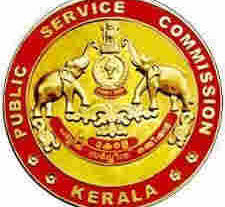 Kerala PSC has conducted the assistant/ auditor exam on October 13 for recruitment to the post of Secretariat Assistant / Auditor in Govt. Secretariat / Kerala Public Service Commission / Advocate Generals Office / Local Fund Audit Department / Office of the Vigilance Tribunal/Special Judje and Enquiry Commissioner Office. More than 5 lakhs of candidates had appeared the exam on 13.10.2018 at 14 districts. All are waiting for the shortlist. Kerala PSC will be published the short list on the basis of OMR test of Assistant / Auditor exam conducted by PSC on 13/10/2018. Candidates who are waiting for the secretariat assistant exam result can ceck their shortlist at www.keralapsc.gov.in / www.keralapscrecruitment.in. 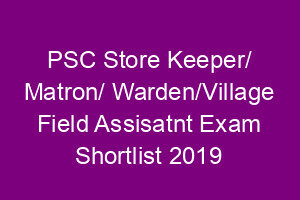 PSC Secretariat Assistant shortlist 2019 Published. 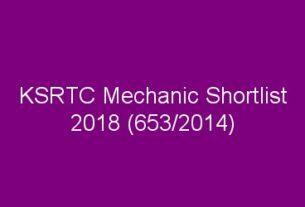 The candidates who had appeared the PSC Assistant/Auditor exam (cat: 545/2017, 546/2017) on 13-10-2018 must have to check their result at PSC website by using the registration number. The shortlist can be downloaded from www.keralapsc.gov.in.